Navrathri being one of the biggest festivals in India, we have offered this product in bring an extra energy to devote the Goddess Durga. 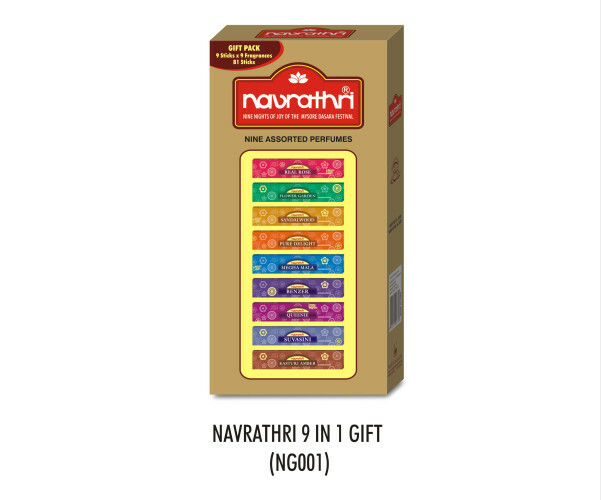 This is a Tulasi Navrathri Incense Sticks, 9-in-1 gift pack with a total of 81 incense sticks in it. There are 9 different fragrances to resemble 9 days of Navrathri festival - Real Rose, Sandalwood, Pure delight, Suvanini, etc.